How cute is this???? 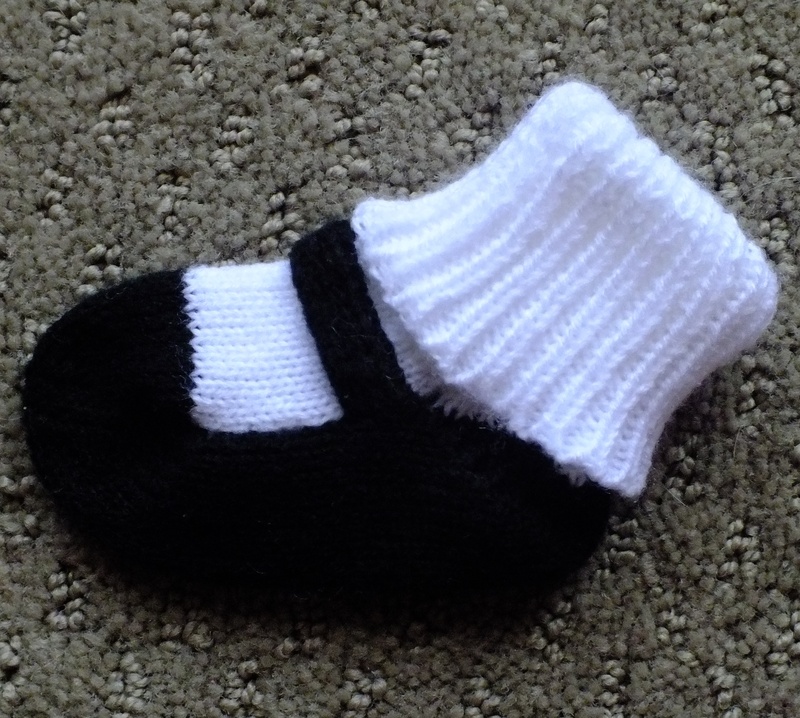 My friend Jacqui in Arizona sent me this hand out for these adorable little booties. Now I know I am a complainer but there are no complaints on this bootie! I did not put the button or flower on the strap yet because I could not wait to share this with you. This pattern is an altered version from Kathe Keck’s Passap Workshop. I just used 2 strands of 2/24 for trying this out. The pattern is for E 6000 and DM 80. 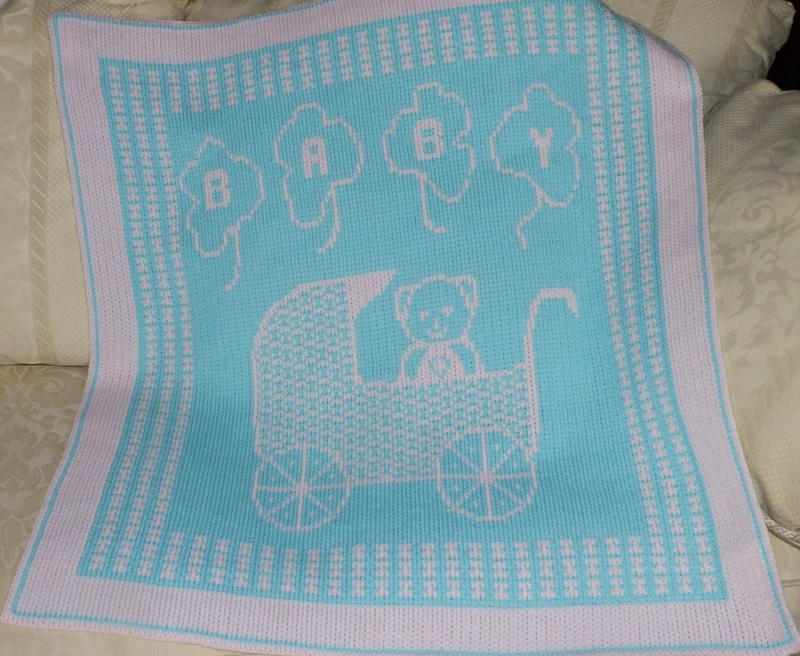 The pattern has detailed instructions and terms used are on the last page. There was only one spot that was unclear but upon reading the next line it explained. When you get to the part at the toe and start decreasing, you will decrease one stitch on both beds both sides. When you do the second decrease, that is where it tells you that. This was fun to make and now I want to do an afghan with these booties to go with it. These would look cute with a scalloped cast on also. Oh, the strap is not knitted in the bootie. It is separate and makes it look all the more authentic. I am sharing the pattern and the directions and you can do what you want to this. I think the buggy should be wider and I corrected it and there is a file in the drop box called wider baby buggy. Download both and you will see the difference in the pictures. I am not unhappy with this but the wider one will look better. Make this your own by changing the colors, borders , size or personalize it. You can also make the buggy a solid color . This is a good time to play around in win/crea or the other design programs if you are new at this. I happen to really like the size of these for babies. They don’t take a whole pound of yarn and are not huge. The finished size on this is 31 wide by 35 long and it weighs 12 ounces. If you want to make it a large one just add the columns to 189 stitches and more rows to make 250. Here is the link for the pattern and directions.